Almost 9 months have passed since the investigation started in the abduction case of the Azerbaijani journalist and activist Afgan Mukhtarli from the territory of Georgia but regardless high public interest to this case information about the progress of investigation is unknown. Alleged participation of Georgian law enforcement bodies in the organized crime and in general, political loyalty of Georgian Government towards Azerbaijani authority in the cases of Azerbaijani dissidents still is a matter of concern. Furthermore, miscarriages identified in the process of investigation significantly reduce public trust and expectations towards effectiveness of the investigation. Having that, considering high political and social value of the case, the under-signatory organizations call on the Parliament of Georgia to establish temporary investigative commission and ensure effective parliamentary control over the Afgan Mukhtarli’s case. At the same time, we urge the Chief Prosecutor’s Office to engage international investigators/experts in the process of investigation and ensure high accountability and transparency in the process. Regardless high public interest towards Afgan Mukhtarli’s case, the process analysis shows that it is going through significant violations that undermines independence and effectiveness of the investigation. - Problem of institutional independence of investigation. Although Afgan Mukhtarli soon after the detention stated that his abduction from the territory of Georgia was allegedly organized with direct participation of the Georgian criminal police officers, the Ministry of Internal Affairs of Georgia started probe into the case that comes in conflict with the standards of institutional independence. The case was forwarded for the investigation to the prosecutor’s office only on July 20, 2017, two months later. The MIA collected core evidence, including the video-recordings, through significant procedural violations. According to our information, the investigation did not withdraw video-recordings from the cameras of private companies, which are located alongside the motorway from Tbilisi to Lagodekhi. As for the cameras of the Ministry of Internal Affairs, the witness stated the cameras were off. According to the case materials, the cameras did not function at the border-immigration office “Tsodna” (Lagodekhi) either. Failure of the MIA to obtain essential and direct evidence of the alleged crime reinforces doubts about objectivity and effectiveness of the investigation. 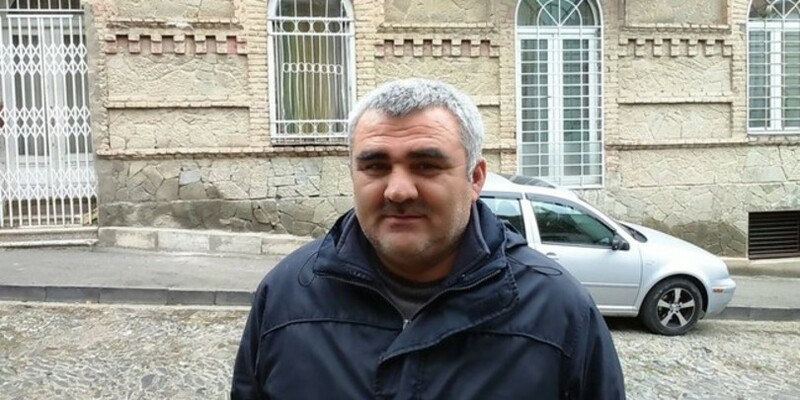 Furthermore, explanations provided to the Organized Crime and Corruption Reporting Project (OCCRP) and to the journalists of the TV-Company Rustavi 2, which independently investigated the abduction of Afgan Mukhtarli raises doubts that allegedly the MIA officers erased the video-recordings from the private cameras. The public statement of the Minister of Interior about Afgan Mukhtarli’s case reinforced the assumption about ineffectiveness of the investigation, as he repeated the official version of the Azerbaijani authority and denied political persecution of Afgan Mukhtarli from the side of the Azerbaijani authority. All in all, the miscarriages identified in the initial stage of the investigation and infringed standards of institutional independence of the investigation, significantly reduced possibility to estimate the truth in the case and continue effective investigation in it. - Problem of case qualification. Until now, the investigation is pending under Article 143 para. 1 of the Criminal Code of Georgia (unlawful detention). Although the case circumstances reveal participation of organized group in the abduction process, transporting him across the border as well as significant harm inflicted to the family of Afgan Mukhtarli and the state interests of Georgia, investigation is not open under Article 143 para. 4 of the GCC regardless many petitions of Afgan’s lawyer. At the same time, the investigation neglects hindering journalistic activities of Mukhtarli and his wife Leyla Mustafaeva though it should also become subject of investigation (Article 154 of the GCC). - Refusal to grant victim status. 9 months have passed since the investigation started into the case. However, due to absence of well-grounded assumption about the crime, the prosecutor’s office denies to grant victim status to Afgan Mukhtarli (and to Leyla Mustafaeva under Article 154 of the GCC). This decision excludes effective participation of the victim in the investigation process; with the restricted public control over the investigation, doubts about illusory nature of investigation are increased. - Problem of genuine and thorough investigation. Regardless the clarifications of the investigative bodies that they questioned over 200 witnesses and collected significant volume of video-recordings, considerable part of the evidence is not relevant to the case – most of the witnesses had no connection with the case. Yet the investigation could not identify the car, by which Afgan Mukhtarli was kidnapped and could not restore its itinerary including crossing the border. - Issue of possible political loyalty in the case. Case analysis of the journalists and activists from Azerbaijan, who have sheltered Georgia, reveal that since 2016 the Government of Georgia refused most of them to get residence permits or refugee status. In all cases the reason for refusal was “interests of national security”. Most of dissidents speak about their persecution and surveillance by certain individuals while being in Georgia and about negligence and ineffective actions taken by the Georgian police. As a result, most of the Azerbaijani activists/journalists had to leave Georgia. Abduction of Afgan Mukhtarli has become a vivid example of such practice and politicization of human rights. The interview of the deputy chairperson of the Human Rights Parliamentary Committee of Azerbaijan Elman Nasirov to the Radio Liberty on June 9, 2017 reinforces this assumptions; she stated that Afgan Mukhtarli was arrested as a result of joint effort of Azerbaijani and Georgian special services (later she denied her statement). Self-critical statement of the Georgian Prime Minister about the case and the decision of the Minister of Internal Affairs of Georgia to dismiss heads of the border and counter-intelligence departments, shall not be evaluated as enough reaction from the authority. Assessments of international organizations were extremely critical about Afgan Mukhtarli’s case and called on the Government of Georgia to ensure timely and effective investigation. On June 3, 2017 the US State Department expressed concern about the fact and called on Georgia to ensure full, transparent and timely investigation. The June 15, 2017 resolution of the European Parliament also stresses out importance of transparent investigation. On January 12, 2018 the US State Department stated that they continue to closely follow the Georgian investigation into the reported abduction, and reiterate their call that it be full, transparent, and timely. All these statements indicate that it is inadmissible to leave questions and doubts about the case unaddressed. The dragged out investigation seriously harms the human rights state in Georgia and international reputation of the country. Regardless the request of local and international communities to ensure effective investigation into Afgan Mukhtarli’s case, the investigation is still ineffective. Consequently, due to particular political and social importance of the case, the under-signatory organizations call on the Parliament of Georgia to establish temporary investigative commission in accordance to the Parliament of Georgia and the Rules of Procedures of the Parliament about Afgan Mukhtarli’s case and to ensure parliamentary hearing of the Minister of Interior and other responsible public officials, including chief prosecutor about the case. - to proactively publish information about the progress of investigation. *“Human Rights House Tbilisi” and its member organization “Article 42 of the Constitution” represents interests of Afgan Mukhtarli on the national level and also before the European Court of Human Rights. In accordance with the Article 54 of the Rule of Procedures of the Parliament of Georgia, in the presence of the bases set forth in Article 56 of the Constitution of Georgia and this Article, a temporary investigative commission is created in Parliament of Georgia with the purpose to explore the facts of breaking Georgian legislation by the state bodies and public officials and to react appropriately, or study the particularly important State and public issues. In accordance with the Para 2 of the same Article, the bases for creation of temporary investigative commission is the following information: a) About illegal actions of state bodies, public officials, which threaten the state security, sovereignty, territorial integrity, political, economic or other interests of Georgia; b) About misappropriation of state and local budgets; c) Studying which is particularly important from the State and public points of view.